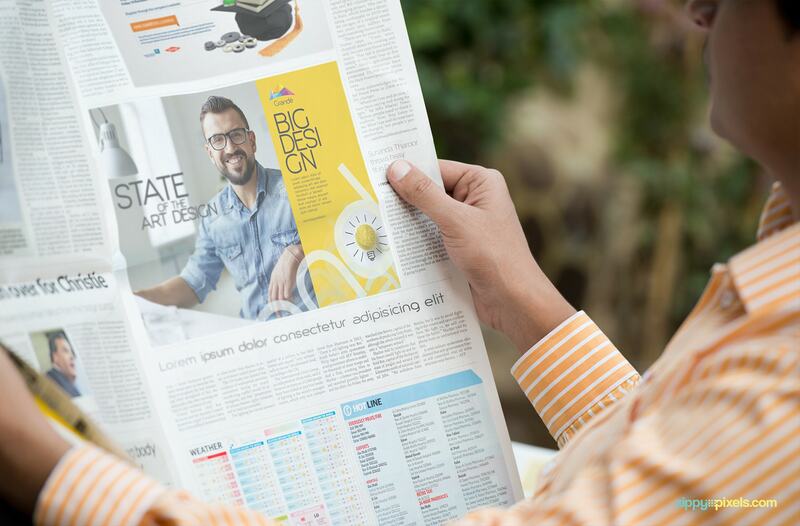 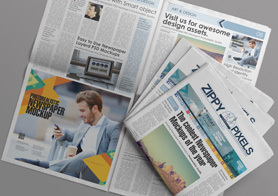 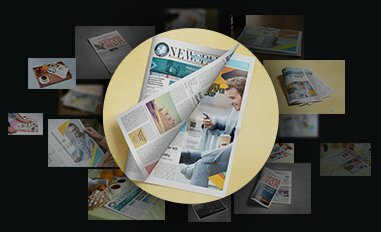 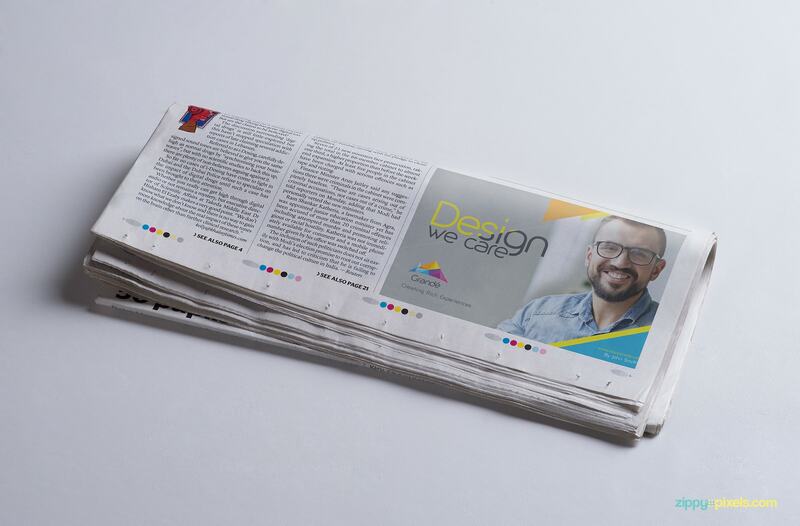 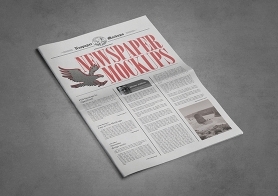 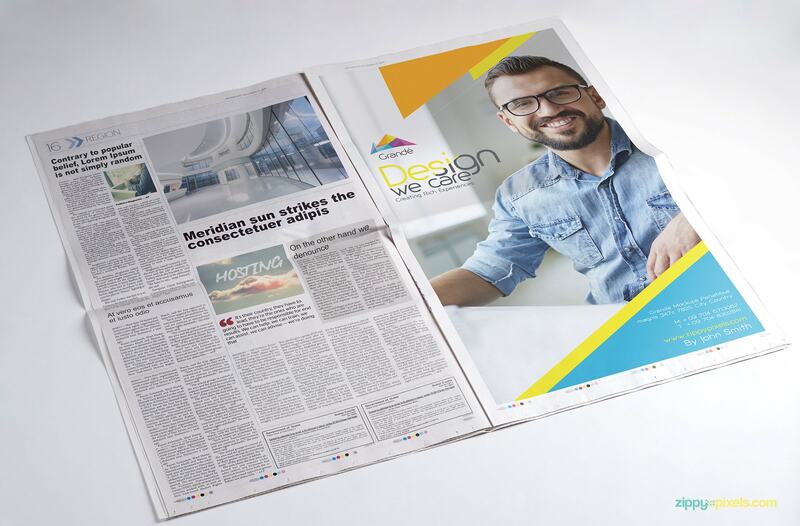 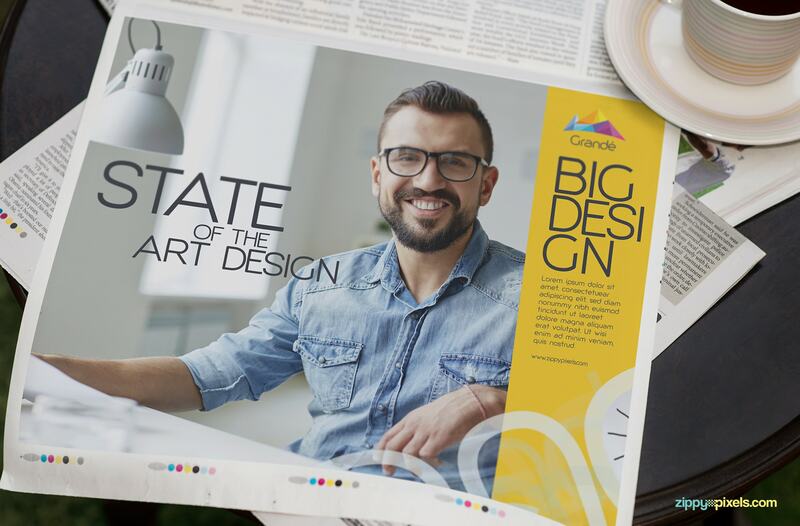 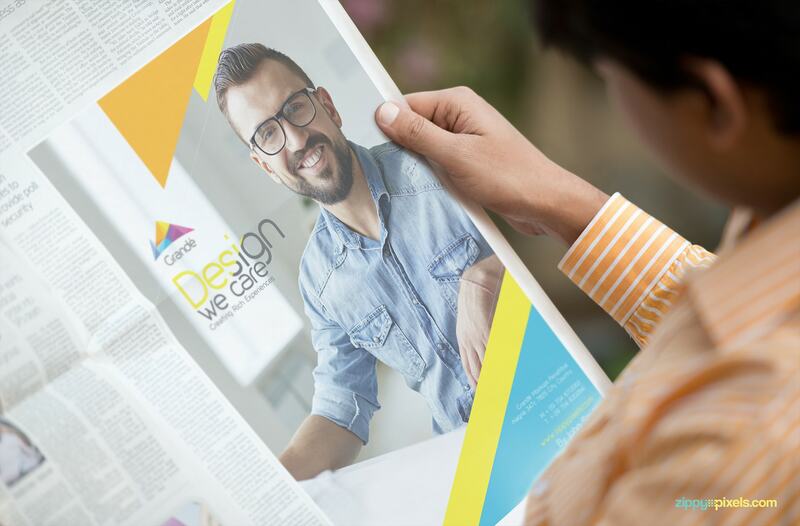 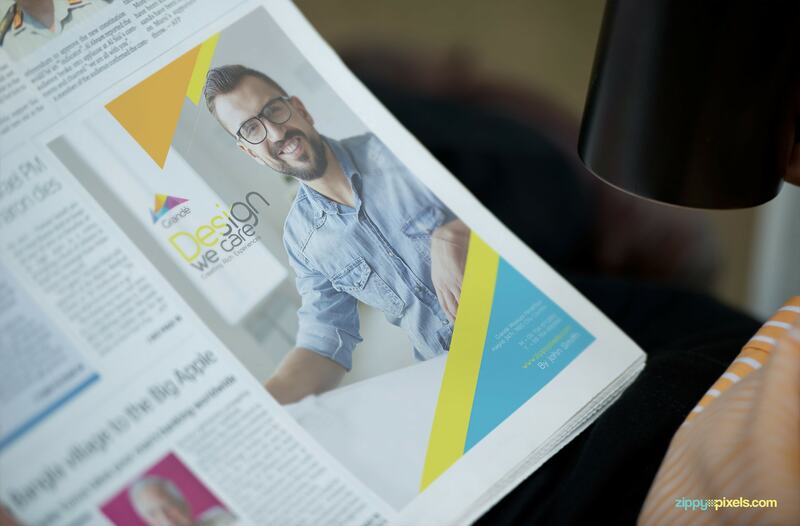 12 photorealistic newspaper mockups for advertising sections to present your ad designs to your clients. 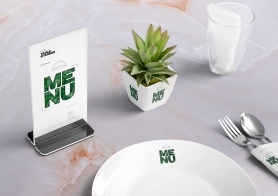 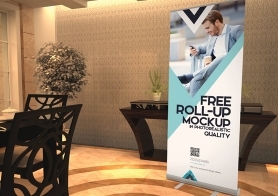 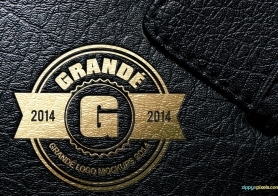 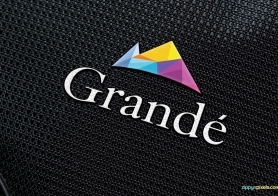 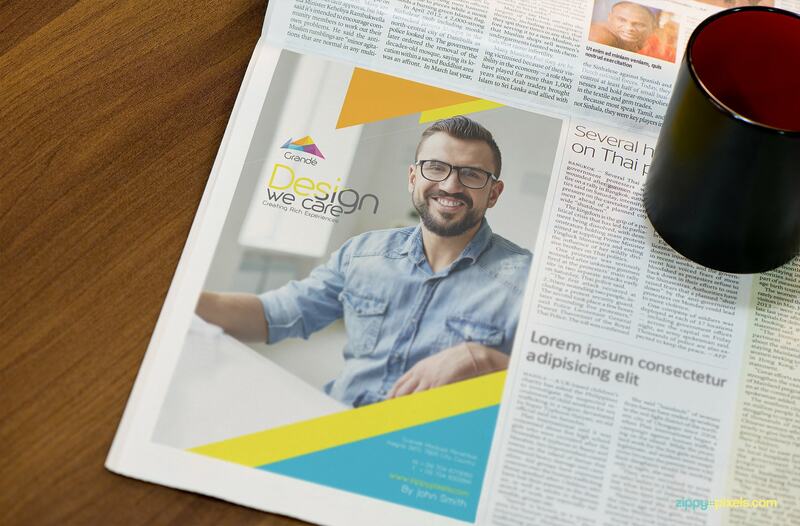 These 12 PSD mockups are shot in different condition and have ads sections of different sizes. 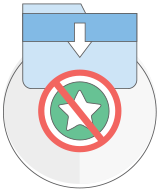 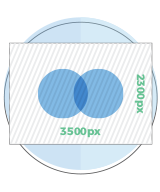 These ads can be replaced easily with your own designs using the smart object layers. 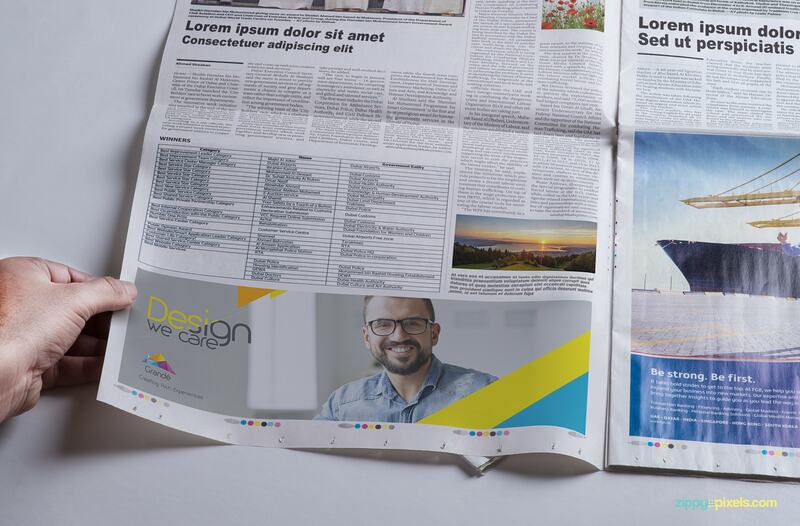 Newspaper mockup with two ads small ad areas, one portrait and one landscape. 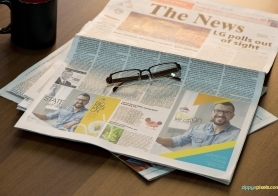 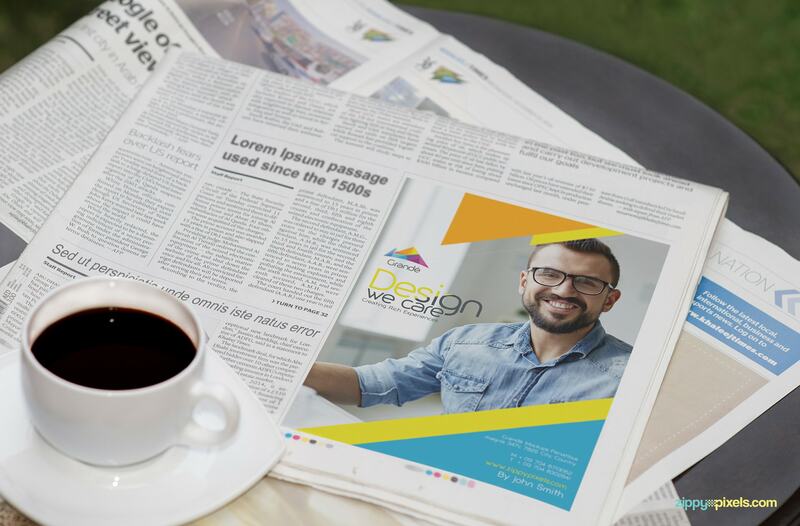 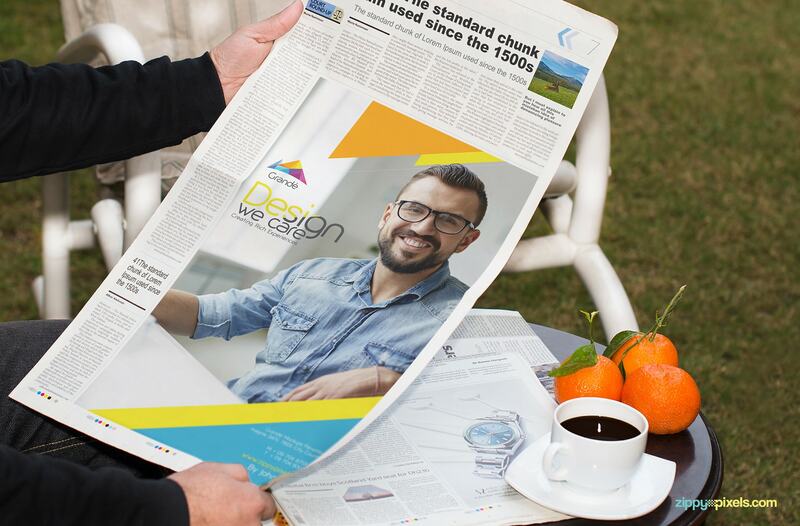 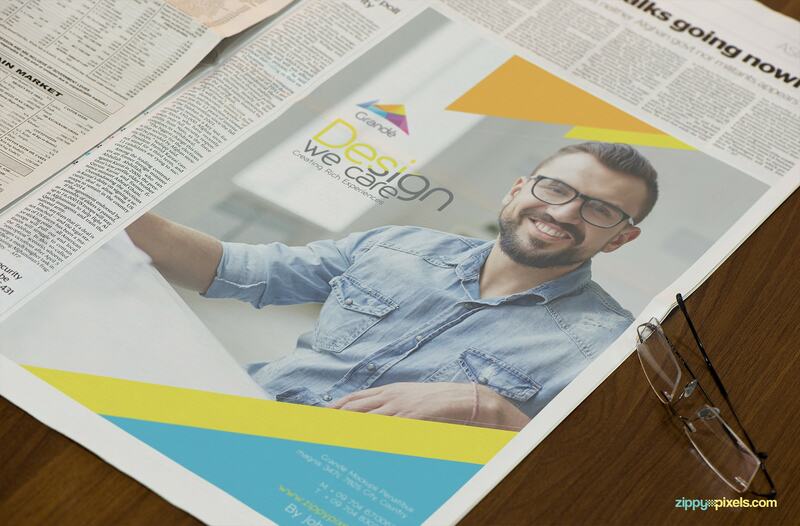 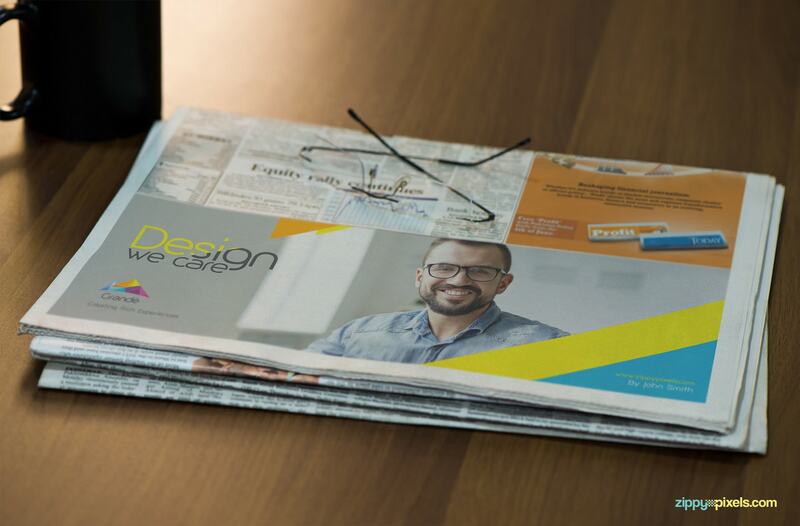 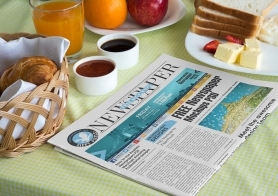 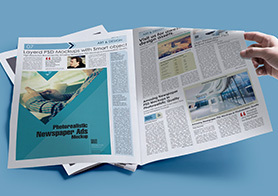 Newspaper Ad mockup – Morning newspaper with a cup of coffee placed on table showing a quarter page Ad.